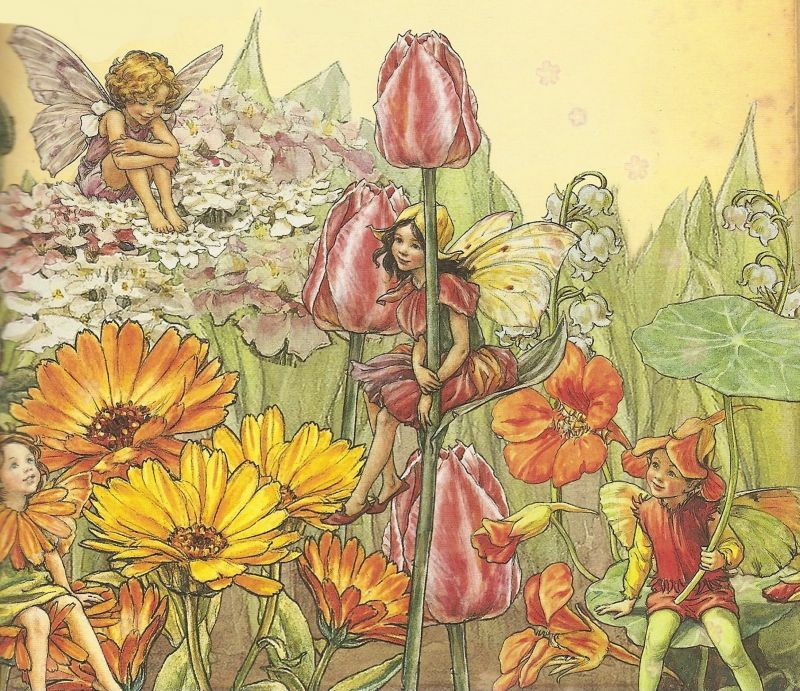 Did you know that there could be hundreds of Flower Faeries living in your garden? there are mnay differetn places where faeries might be hiding. Hanging in baskets. potted plants, and rock gardens are all good spots for cozy faerie homes. But the place were most garden fearies live is int he flower bed, close to thier favorite flowers. Against this colourful background, Flower Faeries live in sociable groups, talking, working and plaing throught the day. The biggest chatterbox is the CANDYTUFFT Faerie. Who loves talking with her faerie freinds. They youngest Flower Faeries adore her becuase she tells them stories at bedtime- and she alway shas sticky sweets to give them! The TULIP Faerie has come from far far away, from the land of Persia. She is very wise and has seen a great many things. so the faeries always come to her for advice. she also tells wonderful stories about faraway lands.